Employee engagement is all the rage these days. Engagement has always been necessary, but only recently has the business world come to understand how critical it is to driving long-term stability and growth. The quality of the break room can make all the difference in the world. Yes, the experience employees have in the break room has an influence on company culture and worker happiness. High-quality coffee products and break room supplies, while not the only factor in determining a company’s culture, should be high on the priority list. What an employee experiences in the break room creates a lasting impression of his or her perception of the company as a whole. A clean, spacious, and well stocked break room tells employees that their employer cares about them. Coffee may be the focal point of the break room, however, now it’s also about tea and hot chocolate too. Healthy snacks are the newest, most popular item being added to the menu. The break room also provides a space where workers can collaborate over a hot cup of coffee without having to rush back to their work stations. A well-presented break room is a community space that encourages stronger bonds among workers the same way the home kitchen creates strong bonds among family members. Lest you suspect we are merely blowing smoke about worker happiness, there is plenty of research data to prove the point. Consider a 2014 study out of the University of Warwick Department of Economics that demonstrates the difference between happy and unhappy workers. Happy workers are 12% more productive than the average worker while unhappy workers are 10% less productive. That is a swing of 22 percentage points. Additional research from the New Century Financial Corporation shows that unhappy account executives classified as ‘actively disengaged’ generate 28% less revenue than their happy, engaged counterparts. The same holds true throughout the global workforce. Happy employees are engaged employees. 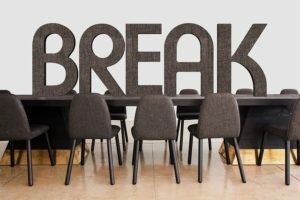 If you are still not clear on how high-quality coffee and break room supplies increase employee engagement, just look at the phrase itself: break room. Workers go to the break room because they need a few minutes away from the desk. They need to give their brains, and sometimes their bodies, a few minutes to rest. If your company has a break room that employees do not want to visit, they are less likely to take their breaks. They will eventually feel like they don’t take breaks because they are stuck at the desk. Conversely, giving them a break room they actually want to use encourages them to take the time. An added bonus is that workers in the break room are only taking a break from their immediate tasks. They still talk shop, share ideas and look for solutions to their problems. That is what makes them more engaged, happier, and ultimately, more productive. Here at Galaxie Coffee, we take immense pride in stocking break rooms across the greater New York area with high-quality coffee and supplies. We would be happy to fill yours as well. I recently attended an industry trade show in Grapevine, Texas. The show is called CTW and is devoted to coffee, tea and water. It is a smaller focused event, when compared with the annual NAMA show which is more focused on the vending industry. CTW offers many hours of education seminars and 5 hours of floor exhibit time. Last year the show was in Nashville, TN. There were significantly more exhibitors and attendees last year. Perhaps this was due to the location. I attend these trade shows for three reasons: 1) to learn from others in the industry and 2) walk the trade show floor to learn about new products and 3) re-connect with our suppliers and old friends. I always have an agenda of new items I’m specifically looking for. There were few new products unveiled at this year’s show. Pods and bean-to-cup brewers continue to build momentum in the office coffee sector. Now that pod brewers are reliable, the floodgates have opened and roasters who offer pods are enjoying their success. When we see a moderately priced automatic pod brewer, pod usage will significantly increase and take market share. Bean-to-cup brewers are an excellent option for larger offices that can accommodate the necessary height and the daily maintenance required. Keurig is still a good option for many offices and there are now effective k-cup recycling options. Many offices are now offering espresso as an afternoon pick-me-up. There are excellent choices in espresso machines, even for small offices. With respect to water options, coolers that attach to the building’s water supply dominate the office environment. Bottle coolers and 5 gallon jugs are still popular in offices with no water source or where the town’s water is deemed problematic. Look for new products that combine a bottle cooler and a pod brewer and a bottle cooler and a Lavit beverage system. The Lavit beverge system combines a high end water cooler (still and sparkling water) and other beverages. Now the Lavit can tie into the building’s water supply or easily use 5 gallon jugs. Any office buying a few cases of soda during the month should look closely at the Lavit system. 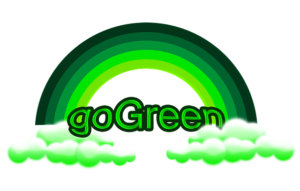 The last change in the industry I will discuss today is the movement to eco-friendly products. Hot cups, plates and cutlery are now very close in price to their non eco-friendly counterparts. The time is right for corporate America to switch over to these products. We are taking the lead on this movement and have narrowed the price gap to virtually nothing. If you are not yet a Galaxie Coffee customer, we would like the opportunity to change that. We are one of the leading coffee service providers in the greater New York area. We can supply your office, warehouse, store, or industrial facility with the finest hot and cold beverages and break room supplies. Our inventory of coffee and water equipment includes all the latest technologies to ensure every break room experience is a positive one. It is that time of year again when people flock to their favorite coffee shops to find pumpkin spice coffees and lattes. Indeed, pumpkin spice is one of the top-selling flavors from mid-September through the end of the year. Some coffee shops would contend it is the most popular flavor of all. But why? There are three possible reasons explaining the popularity of the pumpkin spice flavor. 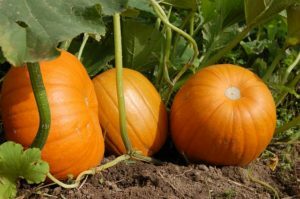 Before we get to them though, consider this: Forbes reports that pumpkin-flavored coffees were the third best-selling pumpkin products in 2015 with sales in excess of $32 million. Furthermore, 37% of America’s consumers purchased something flavored with pumpkin spice in 2015. The total pumpkin spice market exceeded $500 million. As the thinking goes, the body already naturally craves the ingredients found in a flavored cup of coffee. When you throw in the spices necessary to make a pumpkin spice-flavored coffee, you are adding flavor enhancers that tell the body this is especially good stuff. Pumpkin spice flavors remind us of the rituals of the autumn season. With autumn comes the start of the annual holiday season, beginning with Halloween and concluding with New Year’s Day. It could very well be that people associate the pumpkin spice flavor with the emotional satisfaction of the holidays. In short, pumpkin spice coffee may be the ultimate comfort food as we say goodbye to summer and prepare for winter. The third and final reason is not so warm and fuzzy: exceptional marketing strategies have put pumpkin spice at the forefront of fall marketing for foods and beverages. Starbucks was the first to introduce the pumpkin spice flavor as an institution in 2003; they have invested heavily in marketing it ever since. Even as our bodies naturally crave what pumpkin spice foods offer, marketers encourage us to answer those cravings with a cup of coffee. They also take advantage of the emotional satisfaction by marketing in ways that remind us of what we consider ‘happy times’. Regardless of why pumpkin spice is the most popular coffee flavor this time of year, Galaxie Coffee is here to make sure your office has all the hot and cold beverages you need. Get in touch with us to learn more about our full range of coffees, teas, cold beverages, and breakroom supplies. Every industry takes time to reach a point of maturity. This was true when styrofoam was introduced as a material for disposable coffee cups, plates, etc. It was also true when environmentally conscious manufacturers started looking for materials to replace styrofoam. Years later, it is now time to look at eco-friendly breakroom supplies again. The industry has reached maturity. Styrofoam had long been the material of choice for disposable coffee cups because of its insulating properties. Subsequently, paper cups have become more popular. That said, new eco-friendly coffee cups lined with PLA material offer the same insulating power but in a cup that is biodegradable and very much eco-friendly. On the other hand is styrofoam’s eco-unfriendliness. Styrofoam is a petroleum-based product that takes hundreds of years to biodegrade in a landfill. Depending on the composition of a particular foam product, it may never completely biodegrade while buried underground and without exposure to light, water, and air. PLA (polylactic acid) is a bioplastic material derived from renewable sources like sugarcane, corn starch, and cassava. It is rigid enough to support everything from coffee cups to water bottles to medical devices, yet still biodegradable and compostable. In terms of worldwide consumption of bioplastics, PLA is among the leaders. It is used around the world to replace less environmentally friendly plastics. The use of PLA material in breakroom supplies is truly putting the friendliness back into eco-friendly coffee cups, bowls, plates, and flatware. It is helping to make the breakroom more environmentally friendly by replacing non-biodegradable plastics and foams with a material that can either be composted or sent to the landfill with confidence that it will biodegrade. We are happy to say that price is becoming less of an issue for eco-friendly breakroom supplies. Costs have come down enough over the last 12 months to make eco-friendly products very competitive. For example, you can purchase high quality eco-friendly coffee cups from Galaxie Coffee for between $.07 and $.10 per cup, depending on size. That’s about $.01 more per cup when compared with paper cup pricing. Only recently, this difference was more than $.05! Prices on our other eco-friendly products are equally competitive. From bowls and plates to forks, knives, and spoons, price should no longer be a prohibitive factor in going eco-friendly. Galaxie Coffee wants to encourage our customers to start thinking eco-friendly for their breakroom supplies. Going eco-friendly is good for the environment because it means fewer non-biodegradable plastics and foams end up in our landfills. It means less energy being used to produce non-eco-friendly materials as well. If you are not yet a Galaxie Coffee customer, we would like the opportunity to change that. We are one of the leading coffee service providers in the greater New York area. We can supply your office, warehouse, store, or industrial facility with the finest hot and cold beverages and breakroom supplies. Our inventory of coffee and water equipment includes all the latest technologies to ensure every breakroom experience is a positive one. Is Cold Brew Coffee a Year-Round Beverage? Cold brew coffee is here to stay. Once fans of iced coffee realized that cold brew tastes better and is readily available, it was only a matter of time before cold brew began displacing iced coffee in home refrigerators and neighborhood coffee shops. So now the coffee drinking world is asking a new question: is cold brew coffee a year-round beverage? The answer to that question depends on who you ask. Ask the average coffee drinker in a place like New York City and you are likely to be told ‘maybe’. After all, many people won’t want to drink cold brew on a January day cold enough to stick your tongue to a light post – if you are predisposed to lick it? New Yorkers probably prefer hot java during the winter. On the other hand, ask somebody who lives in Miami and you are likely to get the opposite response. In a part of the country where the coldest winter days barely demand changing from shorts to long pants, hot coffee is somewhat of an anathema. Cold brew is more to their liking. Last winter we didn’t sell a lot of cold brew coffee. My prediction is this will change during this upcoming winter. We have many more customers currently buying cold brew, when compared with a year ago. I see no reason this shouldn’t continue in the future. I will provide an update in the Spring!! Global coffee consumption is on the rise, growing at about 1.5% per annum according to a 2016 Washington Post article from Thomas Heath. Driving that growth is demand among U.S. consumers led primarily by millennials who now consider daily coffee consumption an integral part of their lives. It doesn’t hurt that millennials are also changing the American workplace as well. According to the Washington Post, daily coffee consumption among adults between the ages of 18 and 24 climbed 14 percentage points to 48% last year. 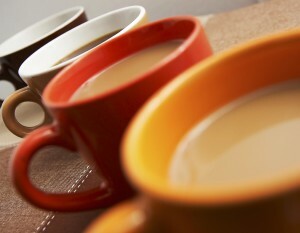 Among 25 to 39-year-olds, coffee consumption rose to 60%. Conversely, older adults (60 years old and older) recorded a drop in daily consumption, down from 76% to 64%. Among all the statistics cited in the report, none is more fascinating than the age at which people begin consuming coffee. Younger millennials born after 1995 started drinking coffee between 14 and 15. Their older counterparts, born in the 1980s, began drinking coffee closer to 17. The statistics are interesting, but what do they have to do with coffee in the workplace? Actually, a lot. Coffee has always been a social beverage that encourages people to sit down and talk. Yet the corporate culture of the late 1970s through the mid-1990s did not allow for such activity. Workers were kept busy on their own individual tasks led by a leadership hierarchy that limited any form of socialization to lunch breaks. Millennials don’t see things that way. They prefer a workplace that is more open and collaborative, a workplace that encourages coworkers to sit down and complete their tasks together. More importantly, their view is rapidly becoming entrenched as millennials take leadership positions left open by their retiring baby boomer counterparts. The youngest millennials are the first generation to grow up completely saturated by computer technology. They are the first generation to be raised on social media, the internet, and collaboration through digital means. For them, embracing a new kind of workplace hierarchy that has fewer levels is completely natural. To sit down and collaborate over a cup of coffee is more important than grinding away in a cubicle. In his article, Heath also observed something else driving both the growth of coffee consumption and the millennial takeover of the workplace: the idea of being ‘cool’. In short, coffee consumption is seen as cool and hip among millennials. Anyone who is anybody drinks coffee. By the same token, working for a company that willingly embraces the millennial concepts of collaboration and a flat hierarchy is also cool. It would stand to reason that the two would make a perfect fit. They do. Wherever you see millennials gathering – whether it be for work or play – you will find a cup of coffee in nearly every hand. At Galaxie Coffee we embrace the millennial generation and their love of coffee. We are here to serve the entire greater New York area with the finest office coffee and beverage service. Tremendous growth in the office coffee industry has created an environment in which there are a lot of great choices in everything from coffee to tea to specialty water drinks. That is good in the sense that more choices make it easier to satisfy most of the office. Yet it can be somewhat overwhelming for the person responsible for ordering. We want to make choosing the right office coffee products easier for our customers. To that end, we have put together a list of things to consider. We suggest taking some time to evaluate each item before making any decisions. And remember, no decision is set in stone. You can always change what you order as needed. It would be disingenuous for us to create a list of this nature and ignore pricing. The reality is that offices have to consider how much they will spend on office coffee. If your company is on a very tight budget, you might want to consider traditional drip brew coffee instead of single serve. 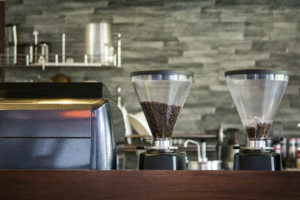 Drip brew offers great pricing and a wide range of options. Anyone who has ever ordered office coffee before can testify that it is impossible to please everyone. Still, it’s good to get an idea of employee preferences prior to ordering. If a fair majority of the office prefers flavored coffee, it might be worth investing in at least one or two flavors for the sake of morale. You could still purchase regular coffee for those not interested in flavors. The amount of coffee your office consumes, which is often determined by your headcount, is another crucial factor. Serving coffee to a lot of people at one time will lead you down a different path on the choice of equipment. As with most things, there are trade-offs on price, coffee quality and product selection. When you order coffee and water from Galaxie Coffee, you also have to think equipment. The equipment you choose is determined by the amount of coffee and water your office normally consumes. We have single serve machines for offices that prefer to brew one cup of coffee or tea at a time alongside traditional drip brewers that can brew up to 12 cups at a time. We even have large commercial machines for your company café. All our machines are meticulously maintained so as to provide our customers with reliable service day in and day out. We have given you four things to think about when choosing the right coffee products for your office. If you still don’t know what to do, don’t worry. Give us a call and speak with one of our office coffee specialists. We can help you figure out what would be best based on pricing, employee preferences, volume, and your equipment needs. Rest assured there is an ideal solution for your office. The tri-state area is large enough to support office supply companies that want to dabble in coffee and breakroom supplies. In fact, a lot of office supply companies do just that. Yet there are also coffee service providers like Galaxie Coffee offering a full line of beverages along with coffee equipment and breakroom supplies. The question for business owners is which way to go. It is our firm belief that your coffee should come from a coffee service provider rather than an office supply company. We do not sell printer paper or pens. We do not service copy machines or computers. And if we did, you would probably not trust us to provide what you would consider a tertiary service on our part. So why buy your office coffee and breakroom supplies from a company that specializes in copy paper, pens, and printer ink? Did you know Galaxie Coffee’s product list includes hundreds of different items? We carry one of the most complete selections of beverage and breakroom supplies in the tri-state area, covering everything from coffee and tea to ‘green’ breakroom supplies. You will never find such an extensive inventory at an office supply company. Office supply companies typically don’t offer the same depth of coffee and breakroom products as office coffee service companies do. More importantly, if you have product questions, you can easily speak to a knowledgeable customer service representative with a single phone call. You won’t spend ten minutes on hold and then find out your question will be answered within 48 hours. A dedicated coffee service provider like Galaxie Coffee offers customers superior service in everything from product delivery to machine maintenance. All it takes is one phone call to our offices to get the beverages and breakroom supplies you need as quickly as possible. And if your coffee machine or water cooler ever breaks down, we will be there quickly to fix or replace it. We can do that because we have a staff of trained technicians and an inventory of replacement equipment just waiting to go. Finally, office beverages and breakroom supplies are all we do. Companies like Galaxie Coffee are not looking to branch out into a dozen different industries in order to do a lot of things adequately. We don’t like adequate. What we want is to be the best in the business. Office coffee service is what we do, and we do it well. Here at Galaxie Coffee, we do not dabble in office supplies like paper clips and envelopes. We will never try to fix your broken thermal printer while dropping off a case of coffee and a couple of bottles of water. By the same token, don’t rely on your office supply company to handle your office coffee and breakroom supply requirements. 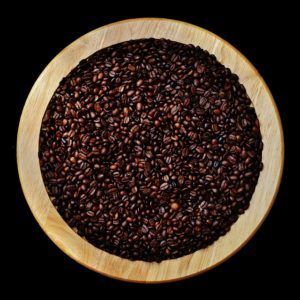 Galaxie Coffee has devoted previous blog posts to discussing the potential health benefits of drinking coffee. Well, we are happy to report that the good news continues to come in. A recent article published by Vending Market Watch cites four more potential health benefits that make that morning cup of Joe even more intriguing. The coffee industry has been reluctant to draw link between coffee consumption and a lower risk for cancer due to a lack of hard data. However, a study published earlier this year in the International Journal of Cancer may provide that link we have been looking for. In a study involving 7,000 male subjects in Italy, those who consumed more than 3 cups of coffee per day were 53% less likely to develop prostate cancer as compared to those who drank less. The study coincides with two others out of the UK. Studies from the University of Southampton and the University of Edinburgh revealed that people are less likely to develop hepatocellular cancer (a common form of liver cancer) if their coffee consumption was higher. The two studies combined data from 26 other studies looking at upwards of 2.25 million people. Coffee drinkers were 20% less likely to develop the liver cancer than those who drank no coffee at all. Coffee could be a better treatment for chronic pain than long-term pharmaceutical use. A study from Boston Children’s Hospital looked at lab mice who were given medications, coffee, or additional sleep to treat chronic pain. The coffee drinking mice and their well-rested counterparts were less sensitive to pain than those taking the drugs. Researchers further discovered that a combination of enough sleep and regular coffee consumption could be better for pain management than prescription medications. The relationship between coffee consumption and reduced risk of diabetes has been established for quite some time. But now we may have an explanation, thanks to a Chinese study that looked at the caffeine, caffeic acid, and chlorogenic acid found in coffee. The three substances appear to reduce the buildup of a certain protein linked to type II diabetes. The research suggest that caffeinated coffee is more beneficial in this regard than decaf. Finally, a study from the Harvard School of Public Health suggests that regular coffee consumption may reduce the risk of suicide by as much as 50%. Researchers presented their data after looking at three large studies looking at the effects of caffeine as a central nervous system stimulant. 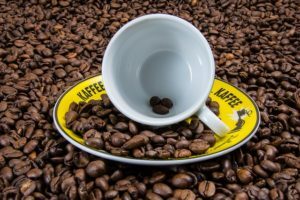 They suggest that caffeine may act as a mild antidepressant that may partly explain lower rates of depression and suicide among regular coffee drinkers. Here at Galaxie Coffee, we are always happy to learn more about the potential health benefits of coffee. We are equally happy to provide reliable office coffee service to your workplace. In addition to coffee and coffee machines, our service includes a wide variety of beverages, breakroom products, and more.